Mulsford is near the Welsh town of Wrexham (Wrecsam) approximately 1.5 hours by car from Manchester airport and one hour by car from Crewe train station. Whitchurch, Shropshire is 9 miles to the South. Our post code is SY14 7LP. 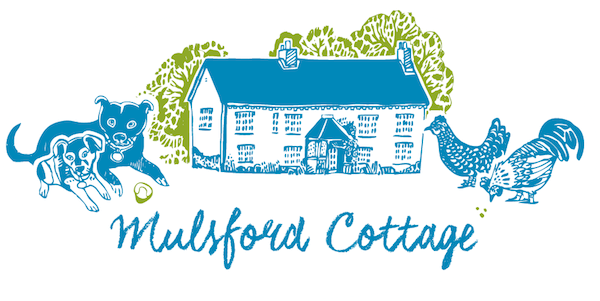 Since 2010 Mulsford Cottage has consistently received top reviews in leading online booking sites. Tripadvisor: We are TripAdvisor's #2 rated B&B in the area, with 55 out of 61 travellers rating us "Excellent". Booking.com: 50 visitors have rated us "Exceptional" with an overall rating of 9.7. Sawdays.co.uk visitors have consistently given top reviews for " the sweet whitewashed cottage with its sunny conservatory and vintage interiors, and the green Cheshire countryside that bubble-wraps the place in rural peace"